Mold infiltrates every Huntsville AL household to some degree. Why? Because mold has been on the earth for millions of years and is everywhere. Where there is moisture, you will find mold. However, moldy environments, especially in your home where you spend most of your time, can cause a variety of health problems. What is weird is that some people are highly sensitive to mold, where others suffer no ill-effects at all to the same exposure. Hence the reason why household mold can be so hard to detect. 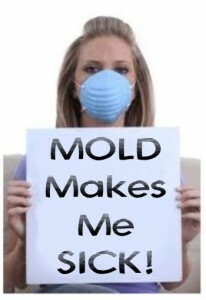 If everyone was affected the same way, a mold problem would be a major red flag and easily detected. For mold-sensitive people, household, noxious mold can cause throat irritation, nasal stuffiness,coughing or wheezing, eye irritation and skin irritation. Folks with mold allergies may have even more severe reactions. Immune-compromised people and those with chronic lung illnesses, such as obstructive lung disease, may get serious infections in their lungs when they are exposed to certain types of mold. These people should stay away from areas that are likely to have mold, such as compost piles, cut grass, and wooded areas. What you should know is that after having adverse reactions to household mold, you will ALWAYS be highly susceptible to mold and must be extremely vigilant that your household and environment is mold free. Mold sensitivity is NOT something that will improve over time. In 2004 the Institute of Medicine (IOM) found there is more that sufficient evidence to link indoor exposure to mold with upper respiratory tract symptoms and cough in people that are otherwise healthy. In addition, the IOM found sufficient evidence to link exposure to damp indoor environments in general to upper respiratory tract symptoms and cough in otherwise healthy people and with asthma symptoms in people with asthma. In 2009, the World Health Organization issued additional guidance, the WHO Guidelines for Indoor Air Quality: Dampness and Mold . The following is from the recent (July, 2009) World Health Organization’s Guidelines for Indoor Air Quality, Dampness and Mold which confirms that mold is a health hazard and that inspection and measurements can be used to confirm indoor microbial growth. “The prevalence of indoor dampness varies widely within and among countries, continents and climate zones. It is estimated to affect 10–50% of indoor environments in Europe, North America, Australia, India and Japan. In certain settings, such as river valleys and coastal areas, the conditions of dampness are substantially more severe than the national averages for such conditions. Microorganisms are ubiquitous. Microbes propagate rapidly wherever water is available. The dust and dirt normally present in most indoor spaces provide sufficient nutrients to support extensive microbial growth. While mold can grow on all materials, selection of appropriate materials can prevent dirt accumulation, moisture penetration and mould growth. Persistent dampness and microbial growth on interior surfaces and in building structures should be avoided or minimized, as they may lead to adverse health effects. Indicators of dampness and microbial growth include the presence of condensation on surfaces or in structures, visible mold, perceived moldy odor and a history of water damage, leakage or penetration. Thorough inspection and, if necessary, appropriate measurements can be used to confirm indoor moisture and microbial growth. As the relations between dampness, microbial exposure and health effects cannot be quantified precisely, no quantitative health-based guideline values or thresholds can be recommended for acceptable levels of contamination with microorganisms. Instead, it is recommended that dampness and mold-related problems be prevented. When they occur, they should be re-mediated because they increase the risk of hazardous exposure to microbes and chemicals. Well-designed, well-constructed, well-maintained building envelopes are critical to the prevention and control of excess moisture and microbial growth, as they prevent thermal bridges and the entry of liquid or vapor-phase water. Building owners are responsible for providing a healthy workplace or living environment free of excess moisture and mold, by ensuring proper building construction and maintenance. The occupants are responsible for managing the use of water, heating, ventilation and appliances in a manner that does not lead to dampness and mold growth. Local recommendations for different climatic regions should be updated to control dampness-mediated microbial growth in buildings and to ensure desirable indoor air quality. Dampness and mold may be particularly prevalent in poorly maintained housing for low-income people. Remediation of the conditions that lead to adverse exposure should be given priority to prevent an additional contribution to poor health in populations who are already living with an increased burden of disease. The guidelines are intended for worldwide use, to protect public health under various environmental, social and economic conditions, and to support the achievement of optimal indoor air quality. They focus on building characteristics that prevent the occurrence of adverse health effects associated with dampness or mold. The guidelines pertain to various levels of economic development and different climates, cover all relevant population groups and propose feasible approaches for reducing health risks due to dampness and microbial contamination. Both private and public buildings (e.g. offices and nursing homes) are covered, as dampness and mold are risks everywhere. Settings in which there are particular production processes and hospitals with high-risk patients or sources of exposure to pathogens are not, however, considered. While the guidelines provide objectives for indoor air quality management, they do not give instructions for achieving those objectives. The necessary action and indicators depend on local technical conditions, the level of development, human capacities and resources. The guidelines recommended by WHO acknowledge this heterogeneity. In formulating policy targets, governments should consider their local circumstances and select actions that will ensure achievement of their health objectives most effectively. Huntsville AL home owners can have mold entering in open doorways, windows, vents, and heating and air conditioning systems. Mold in the air outside can also attach itself to clothing, shoes, bags, and pets can and be carried indoors. It will grow in places with excessive moisture, such as around leaks in roofs, windows, or pipes, or where there has been flooding. Mold likes paper products, cardboard, ceiling tiles, and wood products, and can also grow in dust, paints, wallpaper, insulation, drywall, carpet, fabric, and upholstery. Outdoors, molds play a part in nature by breaking down dead organic matter such as fallen leaves and dead trees, but indoors, mold growth should be avoided. Molds reproduce by means of tiny spores; the spores are invisible to the naked eye and float through outdoor and indoor air. Mold may begin growing indoors when mold spores land on surfaces that are wet. There are many types of mold, and none of them will grow without water or moisture.